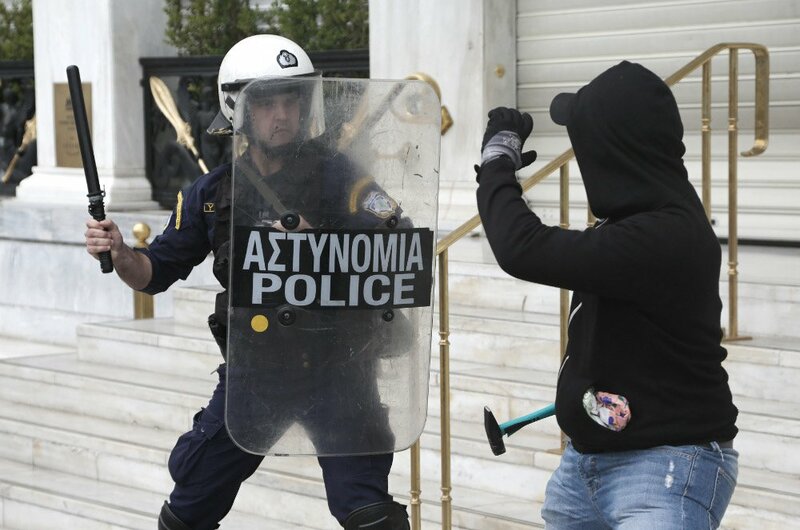 Anti-austerity protests took place on Wednesday in Athens. They are part of a general strike occurring concurrent to the Greek Parliament debating the bailout-related spending cuts. 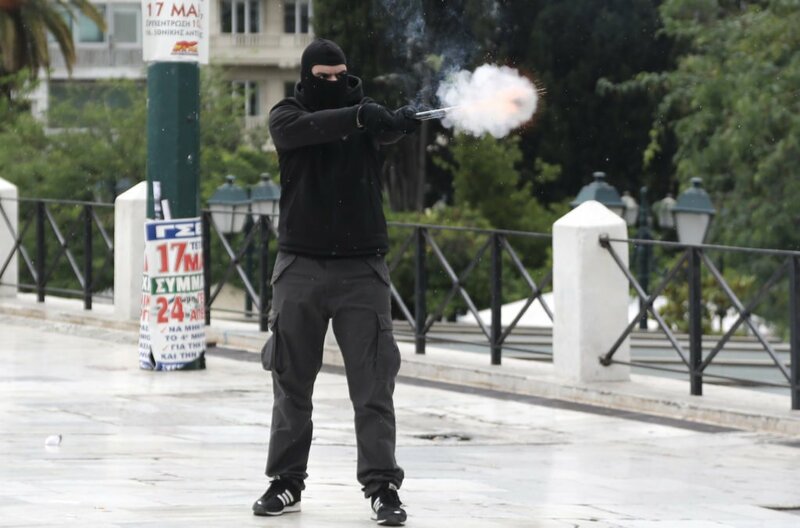 The protests outside of Parliament turned violent when, according to the AP, several dozen of protestors of a crowd of around 12,000 people hurled rocks and fired flares at riot police resulting in the Greek riot police firing tear gas at the crowd. The nearby entrance to a Finance Ministry building was blocked off by the police in efforts to curb attacks by protesters.